‘House Maid’, a Gambian film directed by Bubacarr Zaidi Jallow, is scheduled to make its first screening in the United States of America on Saturday, September 26, 2015. The film will be screened in Washington, DC during the city-wide “Art All Night” programme which will feature art programmes around the city. The House Maid’s premier is being organized in collaboration with the Washington-based Port of Harlem Gambian Education Partnership (POHGEP). Jallow, who starred in the Film as Cherno, said: “The film is significant because it helps society understand that house maids are not slaves and must not be treated as such.” In the story, a wife loses her man to their maid. “The wife gives a lot of priority to going to the gym and other programmes instead of sharing those moments with the husband and expecting the maid to take care of him because she pays the maid,” explained Jallow, who wrote, casted, produced and directed the film. When quizzed about how acceptable such a story of male infidelity (i.e., Arnold Schwarzenegger and Marie Shriver Kennedy) would be in the western world, Jallow said both partners in the film neglected the marriage and that he based the story on what he observed in his neighborhood. Like many low-budget films, the director also has an acting part in the film. 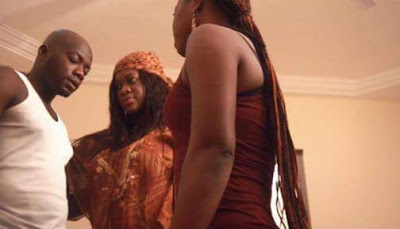 The other actors are also Gambians who are part of Zaidi Entertainment Production. The film’s editor, Lamin Janneh, studied filming in Egypt. POHGEP is involved in education, community, and culture projects. In addition with its work with Jallow, POHGEP also created the “West Africans in Early America” exhibit available for viewing at the Juffreh Slavery Museum, the National Library, and Timbooktu Bookstore in The Gambia. The ‘House Maid’ cast are Bubacarr Jallow (known as Cherno), Nancy Nanz (Jahou), Binta Kassama (Yassin), and Kitab Fatty (Demba). The views expressed in this section are the authors' own. It does not represent The North Bank Evening Standard (TNBES)'s editorial policy. Also, TNBES is not responsible for content on external links. WHAT SHOULD WE IMPROVE ON THIS BLOG? 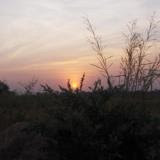 A setting Sun at Baddibou District, North Bank Region of The Gambia (picture by: Modou S. Joof).